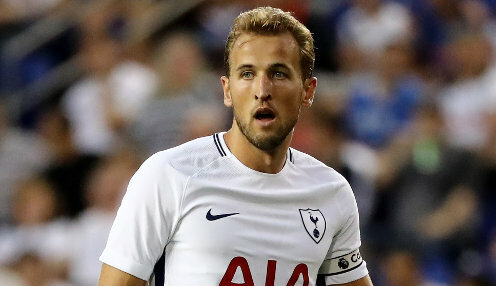 England captain Harry Kane believes that he can improve his game further, despite having won the Golden Boot at the World Cup 2018 finals earlier this summer. Tottenham Hotspur ace Kane found the net six times for the Three Lions in Russia, including completing a hat-trick in the 6-1 victory over Panama and scoring a brace in the 2-1 win over Tunisia. To win the Golden Boot at the World Cup and feel like I could have done better is exciting. However, the 25-year-old frontman says that there remains plenty he can improve on, as he prepares to lead his country in their first game of the new UEFA Nations League tournament. Ahead of a Wembley meeting with Spain on Saturday evening, Kane told reporters: "I think I could have done better at the World Cup if I'm perfectly honest. "It was great, I scored some good goals and important goals but there was stuff I could have done better as well - certain finishes, certain movements. "To win the Golden Boot at the World Cup and feel like I could have done better is exciting. There's a lot of improvement (to go) and I'm at a high level already." Kane's overall record for England to date reads 19 goals in 30 appearances, with the Spurs star having made his senior international debut against Lithuania in March 2015 - marking the occasion by scoring within 90 seconds of coming on as a substitute. He can be backed at 11/10 to score against Spain at any time on Saturday evening and is 7/2 to score the first goal of the game, with the hosts 7/1 to win the game 1-0. Kane's only previous outing against Spain came in November 2015, when La Furia Roja won a friendly international in Alicante by a 2-0 scoreline.